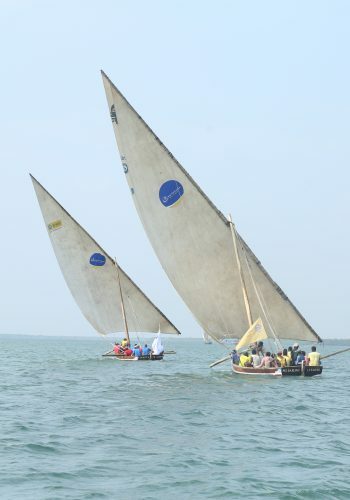 The event, which is running from the 16th to the 19th of November, seeks to celebrate the unique heritage of the Lamu archipelago. The annual festival offers a fascinating insight into life on the island. KAA Airport Manager Lamu Dominic Ngigi presents a sponsorship Cheque of Ksh500,000.00 to the Deputy Gov. H.E. Abdulhakim Mbwana towards this years annual cultural festival on 17th November 2017 afternoon. Behind them is Customer Service Manager Selina Gor and County secretary Ms Joyce Murimi. This year, KAA has sponsored the Mashua race at a tune of KShs. 500,000. Scheduled flights landing at Manda Airstrip in the island are in full capacity as visitors throng the region for the festival. The airport manager, Mr. Dominic Ngigi noted that the airstrip records over 400 passengers daily with efforts in place to increase it’s capacity. “We have recently extended our runway from 1 to 2 Kilometers to allow larger aircraft to land at the island and in turn boost tourism in the region.” Said Mr. Ngigi. Apart from the Lamu Cultural Festival, KAA has also in past supported the island’s Maulidi Festival, a celebration of both the past and the future, and the beliefs and traditions that are the heart and soul of the community. In a bid to give back to the island’s community, the authority through its CSR program, has also supported the Lamu county government in a lighting project that saw 100 street lights put up at the island’s seafront. 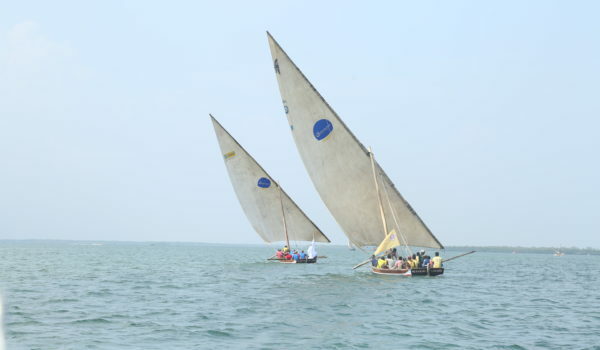 Lamu Cultural Festival is a vibrant display of island life in East Africa’s oldest town. The coastal settlement is listed by UNESCO as a prestigious World Heritage site and is one of the original Swahili settlements along coastal East Africa with a unique heritage dating back over 700 years.